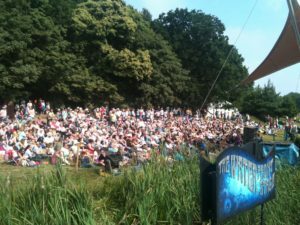 We’re delighted to announce that Sadler’s Wells will be headlining Latitude Festival’s Waterfront Stage for the tenth year running. 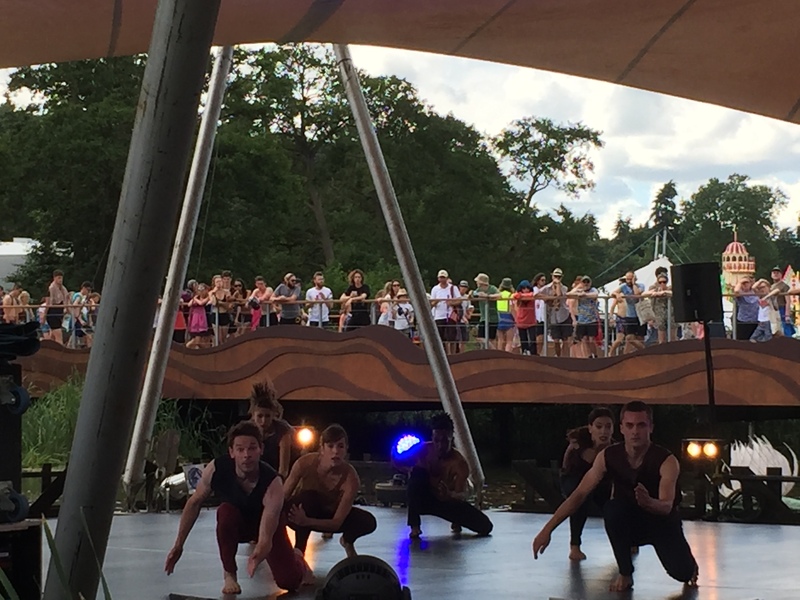 When the sun is shining and the music is turned up loud, the Waterfront Stage attracts large audiences and the setting makes it a beautiful and unique place to watch dance. 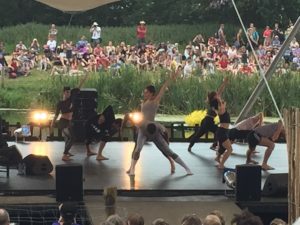 Those people who thought ‘dance isn’t for them’ have their prejudices challenged, and often fall under the spell of the magic combination of dance in a stunning outdoor setting. This year’s eclectic programme of dance includes Matthew Bourne’s New Adventures, who celebrate their 30th anniversary this year, they will perform an extract from Town and Country, a heartfelt pastiche led by the evocative music of Edward Elgar, Noël Coward and Percy Grainger, amongst others. Also on the line-up is the Grammy Award nominated Sisters Grimm who present Voices of the Amazon, telling the majestic tale of a water spirit from the Amazon River through enchanting contemporary ballet and capoeira, accompanied by live music by Brazilian songwriters and world-renowned percussionists, Olodum. The BBC Young Dancer 2017 Finalists will provide the Latitude audience with a taste of the best of young British dance talent from the competition’s finalists; showcasing the energy and electricity of a street dance solo, the versatility of contemporary dance, the classical precision and artistry of ballet and the grace and fine detail of a South Asian dance. The very best movers and shakers in the world of hip-hop theatre including Boy Blue Entertainment feature in The Get-Down – a specially curated event complete with performances and demonstrations set to a live DJ soundtrack. 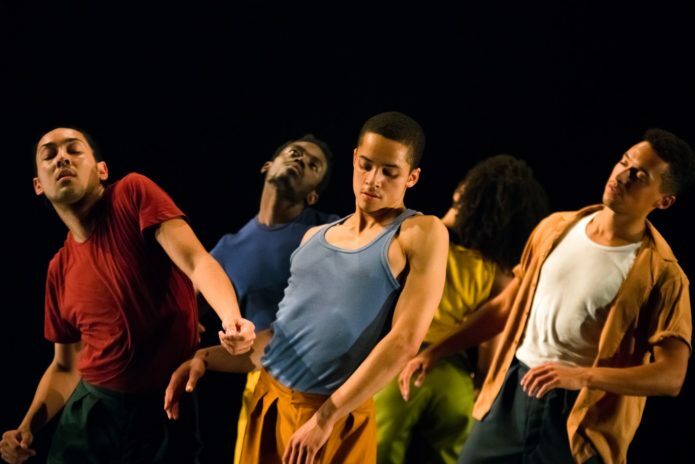 Completing the Sadler’s Wells line-up are National Youth Dance Company, with their latest production Tarantiseismic, created by 2016–2017 Guest Artistic Director Damien Jalet. Jalet’s revered choreographic style combined with the 40 dancers energy and talent is set to produce a mesmerising experience that shifts the consciousness of the audience. 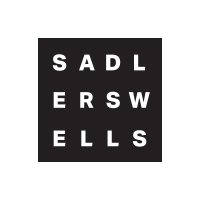 Over the weekend, Sadler’s Wells will also be providing workshop and classes on the Waterfront Stage, details to be confirmed. Today marks the start of the tenth annual National Apprenticeship Week. The week celebrates the success’ of apprenticeships over the last decade and recognises the positive impact on individuals, businesses and the economy. Dance as a contemporary art form is a relatively young affair. nike air max 2017 pas cher Since the 1960’s breakthroughs, its shape seems to be ever-expanding, having outgrown the commonly understood notion of dancing and the traditional meaning of choreography; it has evolved into a vast field of possibilities across continents and aesthetics. 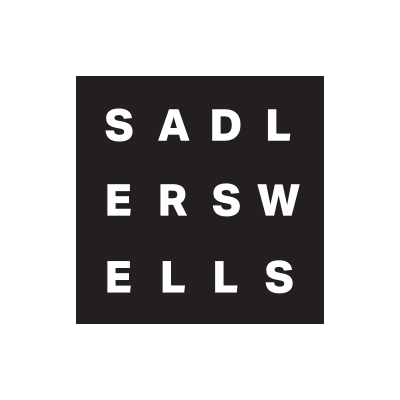 At Sadler’s Wells, the Lilian Baylis Studio is where you can encounter some of the most current developments in what dance and choreography can be, both home-grown and from further shores. nike air max classic bw Year round, the Lilian Baylis Studio offers a carefully curated programme of singular perspectives from many of the most thought-provoking dance-makers working today, often at earlier stages of their careers but also from key acclaimed artists. Buy Blade and Soul Gold The works presented in the intimacy of the studio tend to share a critical perspective on the art form and on the world. It is a fertile ground for artists exploring the potential of dance. Changing in configuration, the studio also joyfully fosters experiments on being together in the theatre, including work that invites children in. At the crossroad of many disciplines and lesser known dance practices, you will also find provocations dealing with the actual form dance takes. Underpinned by ongoing artist support, this season sees the development of several ideas which started as experiments in Wild Card, a regular series offering alternative perspectives. Pepa Ubera returns with a poetic work as does Seeta Patel with her contemporary presentation of bharatanatyam, part of the Darbar Festival. This season’s Wild Card is curated by Gianluca Vincentini introducing talent from the North of England. nike kwazi soldes And Joe Moran premieres a brand new work making dancers’ thinking visible. Rucksäcke von Fjällräven There is also a rare chance to catch sought-after international artists with the mischievous Jan Martens’ new work and Maud Le Pladec’s feminist HUNTED. And last but not least, the Lilian Baylis Studio becomes home to little ones with Arthur Pita’s The Little Match Girl, a compassionate tale for the festive season. Join us and be part of dance reimagining itself. Evelyn Francourt is one of four London-based Social Movers for The Movement – an Arts Council funded partnership among three of the country’s leading dance venues; Sadler’s Wells, Birmingham Hippodrome and The Lowry, which aims to promote dance across the UK. Here Evelyn tells us about her first Social Mover engagement – attending the opening night of international ballet star Carlos Acosta’s new company Acosta Danza’s first UK Tour, at Sadler’s Wells. The evening of Wednesday 27 September was a first for many reasons – the first time meeting my fellow London based Social Movers, the UK premiere of Carlos Acosta’s dance company, Acosta Danza at Sadler’s Wells, and my first experience seeing Carlos Acosta dance live. Cuban choreographer Marianela Boán‘s El cruce sobre el Niágara (The Crossing Over Niagara), was the first performance of five. As the curtain rose there was immediate impact – low lighting and stillness, with a male duet, undertaking slow precise positions and balances. After I moved pass the initial ‘are – they, aren’t – they naked’ question, (they are in thongs designed by Leandra Soto), I was enthralled. The technical ability and strength of the dancers is more than demonstrated in the way they held second position pliés, balances and lifts with such intense focus, poise and tenderness. Mermaid, a duet for Carlos Acosta and company dancer Marta Ortega by acclaimed contemporary choreographer Sidi Larbi Cherkaoui, was a stand-out performance for me. At the onset of this duet I believed it to be a seductively elegant metaphor for drunkenness; the glass, and Ortega’s wine-red dress led me to believe Acosta’s character was grappling with drink. However, in retrospect and with the title, Mermaid as a clue I now see that she plays an ethereal creative and Acosta’s character is haplessly ‘drunk’ by her beauty and charm. The live music was a hypnotic accompaniment to this piece. Featuring Korean vocals with Eric Satie on piano, it provided a haunting and other-worldly quality and enhanced the mesmerising performance. Carlos Acosta live, I mean, this alone was enough for me to feel elated. There is no mistaking the strength of Acosta’s training and experience – he is a masterful and dynamic dancer and beautifully paired with Marta Ortega whose dancing I look forward to seeing more of. In contrast to this poetic piece was the final performance, Twelve. What a way to end the night! Physical, energetic, strategically precise. The company navigated their way around the stage whilst undertaking the throwing and catching of litre water bottles, with neon lights inside. 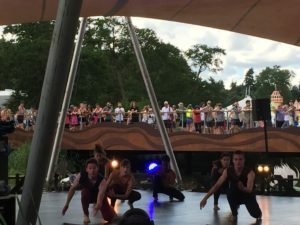 They broke off into throwing/catching groups of pairs and fours interspersed with cheeky turns and twists keeping the audience on the edge of their seats. Think of the nimble, Cocktail skills of an 80’s Tom Cruise, throw in neon bottles, dance and acrobatics, and magnify this with an entire dance company then you have an idea of this performance – truly exhilarating. As an audience we were right there with them – defying them not to drop a bottle or lose the pace. There was whooping, clapping, stomping – the kind of interactive, physical performance that raises your spirits and gets you on your feet. All in all, this was a night that showcased a young and exciting company with an array of dance skills, styles, techniques and talent. I am excited by this company and look forward to following its career. The night was particularly special because I can finally say, I have seen Carlos Acosta dance live – something to tick off my dance bucket list! Acosta Danza’s Debut tour programme also includes Belles-Lettres by Justin Peck, Imponderable by Goyo Montero and Jorge Crecis‘ Twelve. You can see Acosta Danza at venues such as Birmingham Hippodrome and The Lowry.